Niccobelle (l) will be given his chance at Rosehill after a Melbourne Cup day victory at Randwick. With a stable name like Big Knickers, you could be forgiven for thinking Niccobelle wouldn’t amount to much on the racetrack. 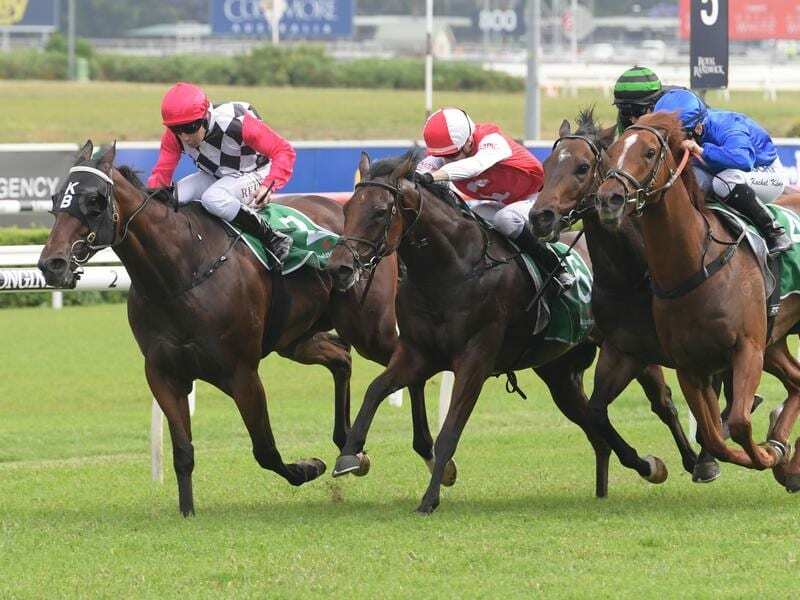 But after landing a narrow victory at Randwick on Melbourne Cup day, the gelding has earned a shot at Saturday grade and will take his place in the TAB.com.au Handicap at Rosehill. Niccobelle weighs almost 600kg and while trainer Kristen Buchanan describes him as a “gentle giant”, the horse is not without his challenges. He might have the physique of a gym junkie, but mentally he is more in the mould of Mr Bean. “He’s the most beautiful horse. He’s big and strong and muscular, he looks like a big Arnold Schwarzenegger,” Buchanan said. “He’s quirky in that he likes everything how he likes it and if you change things he gets very upset very quickly, so keeping him happy is important. Niccobelle belied his nickname when he led and defied all challengers to score a last-start win. Christian Reith has retained the ride and Buchanan expects the jockey to adopt similar tactics at Rosehill. “Christian got a really good feel of him last time. I don’t think we need to reinvent the wheel. I think he just has to be comfortable, ” she said. Niccobelle is a $19 chance to score back-to-back wins with the Hawkes Racing-trained Montrachet the $5 favourite.